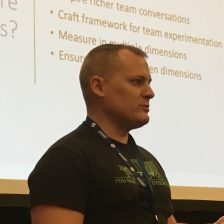 When can a Scrum Master say no to the team? That’s a question I struggled with as a young Scrum Master. On one hand, I was told that I have only influence—not authority—over the team, but on the other, I was told that I was the keeper of the process. So what do I do when the team tells me the retrospective is a waste of time and suggests doing away with it? If I could turn back to the clock, here’s what I’d tell my younger self. Does an idea conflict with the intent of a ceremony? As Scrum Masters, we should not only understand the mechanisms of a ceremony. We should also understand their intents, which I write about here. When we understand the intent of each ceremony, we empower the team to tweak the mechanics to suit their needs. Is the team trying to toss out an element of the scrum framework? Examples of this include delaying testing until the next sprint, not delivering working software at the end of the sprint, or doing away with a ceremony altogether. Use this video as a reminder of the simplicity of the scrum framework.